CEO, James Coats is known for using his "love of superheroes to gain attention toward the cause of helping children and others." He runs a successful defense systems business that houses life size bat mobiles and superhero replicas, including The Hulk, Ant Man, and Iron Man, to name a few. He recently debuted his latest addition, the DeLorean, from Back to the Future. These life sized toys inspire the work behind the defense designs and the creation of the non-profit, Superheroes for Hope. 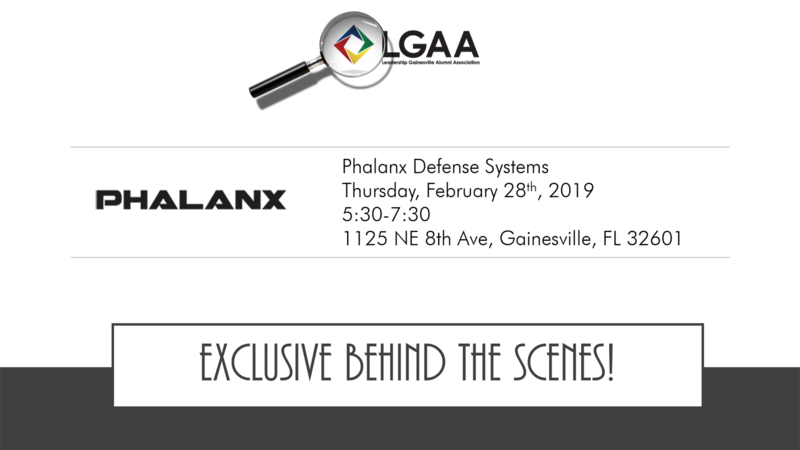 Join your fellow LGAA members for an exclusive, private guided tour of Phalanx and all the fun behind the magic on Thursday, February 28th from 5:30-7:30. This event is free for LGAA members. Existing LGAA members may bring a guest for $10. The tour will begin at 5:30, and after the tour concludes, light snacks, refreshments, and networking will take place at East End Eatery until 7:30. We hope to see you there!